John McCain arrived in Washington ready to take on the town. With his hero’s story and honored family, he was one of those few congressional freshmen who automatically attract attention. He also bucked the political trend, having been elected as a conservative Republican in 1982, a year when 26 of his fellow party members lost their House seats. 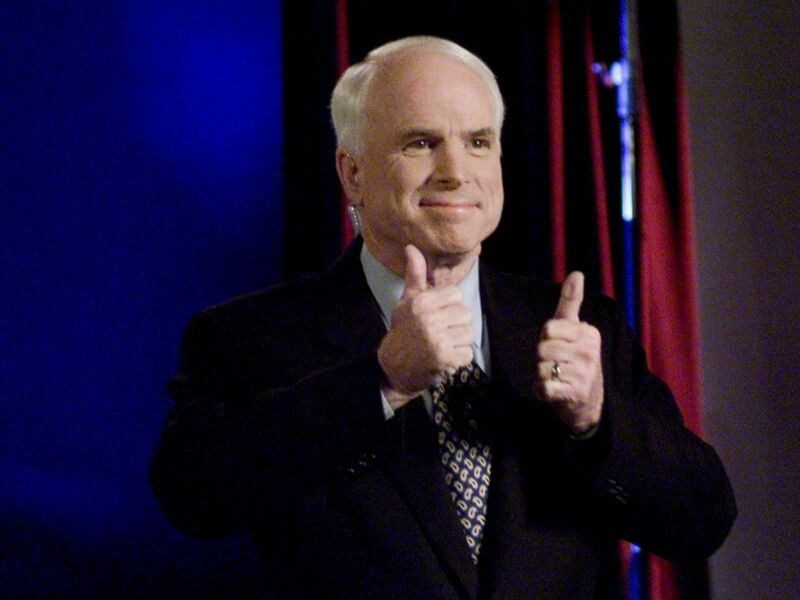 But voters’ thumping of Republicans at the polls in that midterm election did nothing to humble the outspoken McCain. It took a fellow Arizonan to teach the young hothead how to get things done for the people of his district so that he could succeed at his job, not just make speeches. Mo Udall, the liberal Democrat who had lost in his bids for the House leadership and for the presidency, was one of the most beloved and respected men in Congress, in no small part because of his wit and candor. Arizona Senator and Republican presidential hopeful John McCain participates candidates debate via satellite from St. Louis, March 2, 2000. John McCain would visit his mentor regularly, reading to him in the hopes that he could hear. 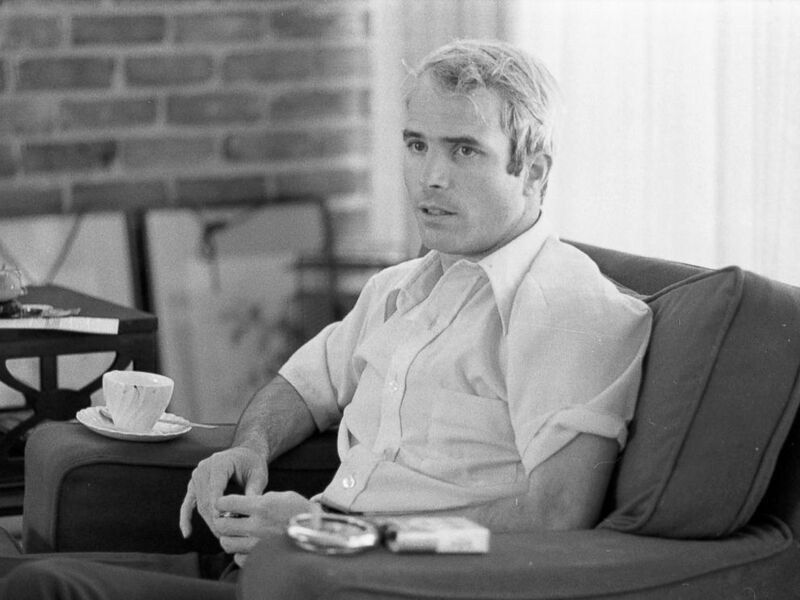 But that soft side wasn’t readily visible in the halls of Congress, where McCain could show his temper as often as his humor. We in the media loved to be assigned to him because he was frank and funny, but he could also get really mad. His colleagues knew that and worked to avoid ruffling his feathers. They also respected him mightily, even when they were irritated with him. A friendship struck between John McCain, the former POW, and John Kerry, the former anti-war protester, helped lead to America’s restoring relations with Vietnam, where U.S. involvement in the war ended up tearing apart our own country. The regularization of relations with Vietnam was an act of reconciliation at home as well as with the former enemy. McCain also sought out another Democrat in an act that was more repentance than reconciliation. After he was called out in a political money scandal, McCain wanted to try to clean up the system. He joined with Democrat Russ Feingold to pass campaign finance reform, making many of his fellow Republicans furious along the way. 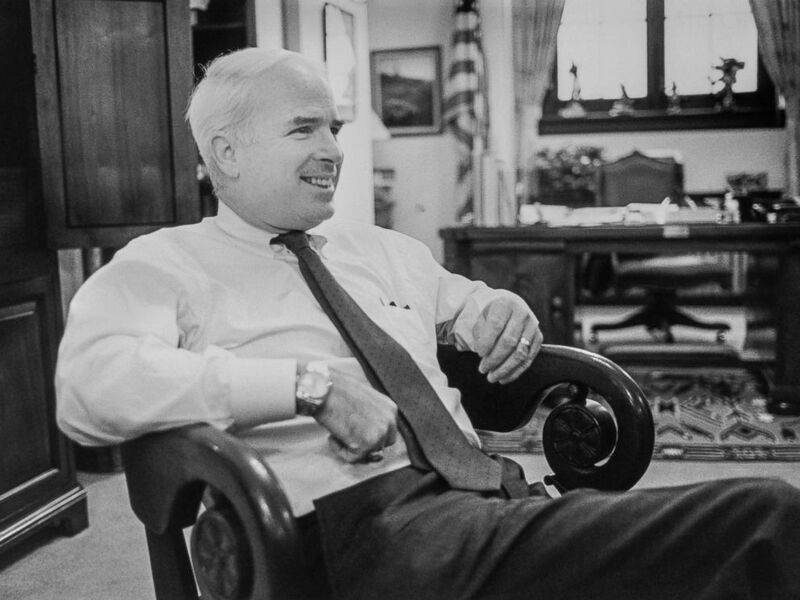 Rep. John McCain in his office on Capitol Hill, Feb. 15, 1990. Still, McCain could be proudly partisan. For heaven’s sake, he was his party’s standard-bearer in 2008, the most partisan position there is.